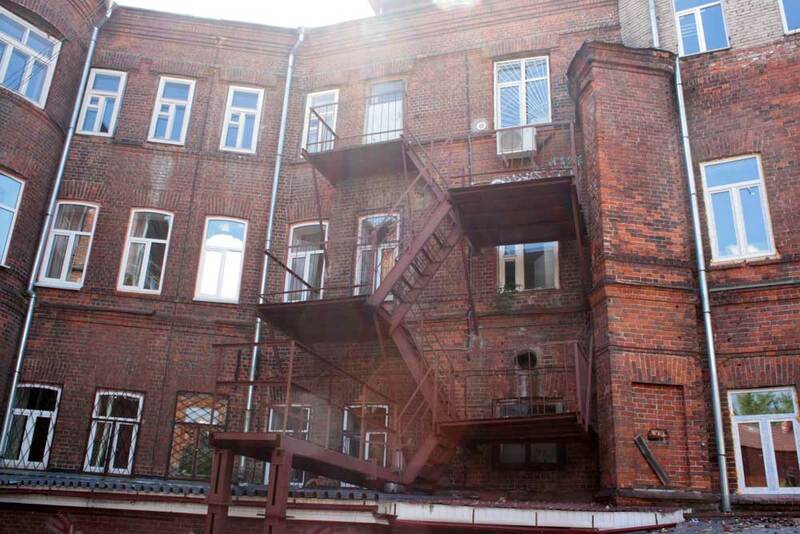 Culture | Red brick building with a large iron staircase. Restoration of the 19th century.Neoclassicism. 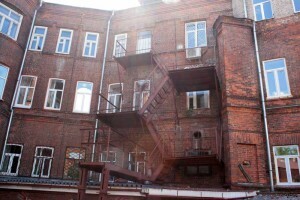 Architecture of Nizhny Novgorod.